SHARPSBURG, MD – SEPTEMBER 15: Confederate infantry re-enactors participate in the Battle of Bloody Lane during an event to mark the 150th anniversary of the Battle of Antietam September 15, 2012 in Sharpsburg, Maryland. The Battle of Antietam was fought on September 17, 1862 and was the bloodiest battle in American history with more than 23,000 men killed, wounded, and missing in one single day. 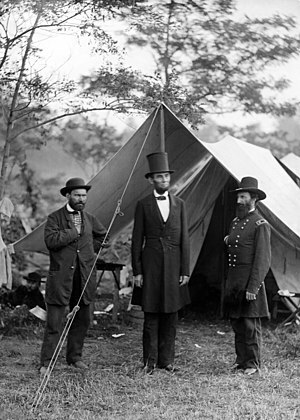 It marked the end of General Robert E. Lee‘s first invasion of the North and led to Abraham Lincoln’s issuance of the Emancipation Proclamation.